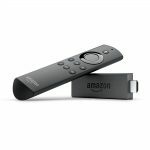 Preorder New Amazon Fire Stick – Alexa now! Amazon just made available their latest Amazon Fire TV Stick! The new Amazon Fire TV stick is priced at $39.99 which is the same as their first generation but $10 less than the Amazon Fire TV Stick with the voice control. They are offering a promotion right now where you will get $65 worth of subscription for sling, hulu, and Amazon. The promotion includes the following although it is not exactly clear how the credit is broken down. Sling should be $10 / month. Hulu has various models based on content and comemrcials. All will require credit card when you sign up and you will need to be a new customer. You can simply use another e-mail from the one you are using. Amazon has recently launched a “Understanding the Amazon Fling Service” page to its developers. 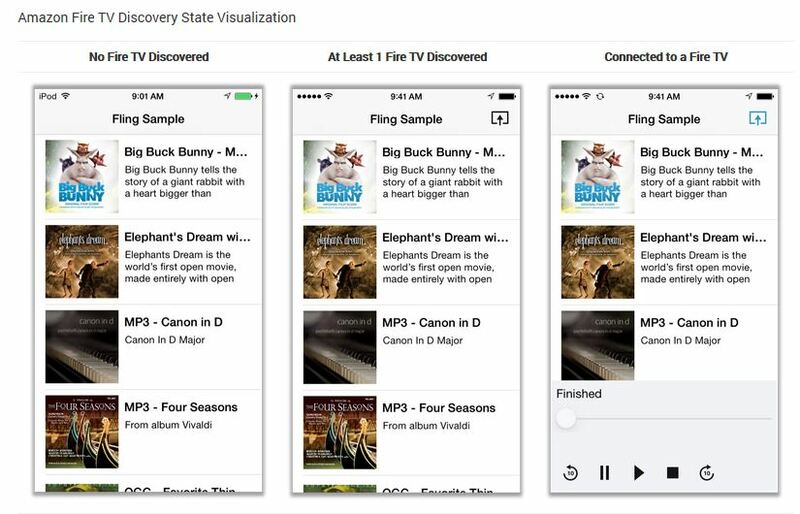 Amazon Fling enables users to ‘fling’ media, websites, from Android, Apple, and Fire OS devices to their TV. This is similar to what Google has for Chromecast for display and playback. 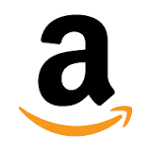 Amazon has created an API which will interact with the developers app. The developer must create a controller (playback, stop, etc..) for the user to fling the content to its TV. Fire TV and TV Stick has been relatively successful but we have heard from users that despite its great GUI (graphic user interface), it is limited. The only alternative from using the GUI built on Fire TV / Stick is to mirror your device. Mirroring your device doesn’t come without its issues as not all devices support mirroring. Also, mirroring is very bandwidth consuming as well as it putting a drain on your battery. Amazon’s Fling Service will resolve this. Instead of mirroring, you will be able to set the Fire TV / Stick device to call the content directly to the web via WiFi instead of placing the drain on your iOS, Android or Fire device. Amazon makes Fling available to developers was first published at firetvblog.com.